A monk-produced documentary highlights Tibetan unity and nationhood. 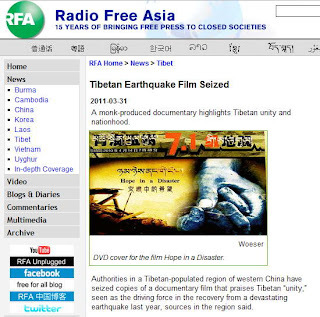 Authorities in a Tibetan-populated region of western China have seized copies of a documentary film that praises Tibetan “unity,” seen as the driving force in the recovery from a devastating earthquake last year, sources in the region said. 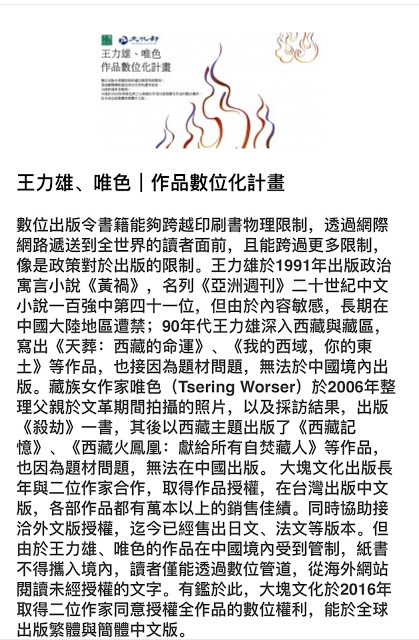 The April 2010 earthquake, which struck Yushu county in China’s Qinghai province, destroyed the Tibetan town of Jyekundo, also called Gyegu, killing an estimated 3,000 people there and in surrounding areas. 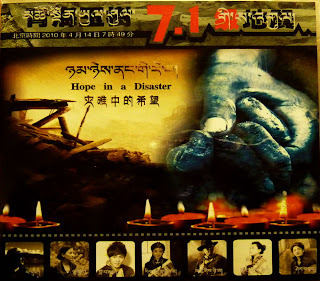 The film, titled “Hope in a Disaster” and produced by Buddhist monks, has proven popular with Tibetan viewers, but Chinese authorities have confiscated hundreds of DVD copies of the film from three shops in Jyekundo and from two shops in the nearby region of Kham Nangchen. A restaurant in Jyekundo was also fined for screening the film, and the restaurant’s DVD players and a projector were seized, Tibetan sources said, speaking on condition of anonymity. Chinese officials also seized 3,000 DVDs from the residence of a monk, along with a computer, religious paintings, and household items including 30,000 yuan (U.S. $4,581) in cash. Government statements claim the film’s producers had failed to obtain permission from “relevant departments” to distribute the film, sources said. But local Tibetans believe that a more likely reason for the documentary’s suppression is that it praises the unity of Tibetans from Tibet’s traditional three provinces in carrying out relief and rescue work in the aftermath of the earthquake. It also urges their continued unity in fulfilling future tasks. “Amdo, Kham, and U-Tsang all belong to the same family,” says a song, “The Sound of Unity,” included in the film. Many Tibetans consider Amdo, Kham, and U-Tsang to be the three provinces that make up Tibet, although Beijing has largely incorporated Kham and Amdo into the Chinese provinces of Qinghai and Sichuan. “Tibetans of the Land of Snow, unite as one!,” the song urges. The film’s producers have not been detained, sources told RFA, but authorities have ordered the filmmakers not to leave the Jyekundo area. Meanwhile, some 400-500 Tibetans living in Nangchen have signed or placed their thumbprints on a petition asking authorities not to detain or arrest the monks who made the film, sources said, adding that representatives of villages in both Jyekundo and Nangchen have urged authorities to “properly” handle the issue or risk social instability. Speaking separately in interviews, Tibetan residents of Jyekundo said that several other DVDs related to the 2010 earthquake are now circulating in the area. Some, they said, were issued by government sources and purport to show how Chinese troops worked to help victims of the quake. If Chinese authorities issue an order to ban a particular DVD, “they will definitely take it away from us,” one source said. Reported for RFA’s Tibetan service by Tseten Dolkar and Guru Choegyi. 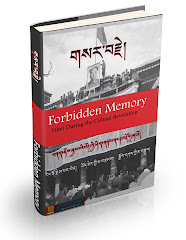 Translations by Dorjee Damdul. Written in English by Richard Finney.